With the most flexible interface available today, Visualizer offers enhancements to your analytical workflow you can't afford to be without. 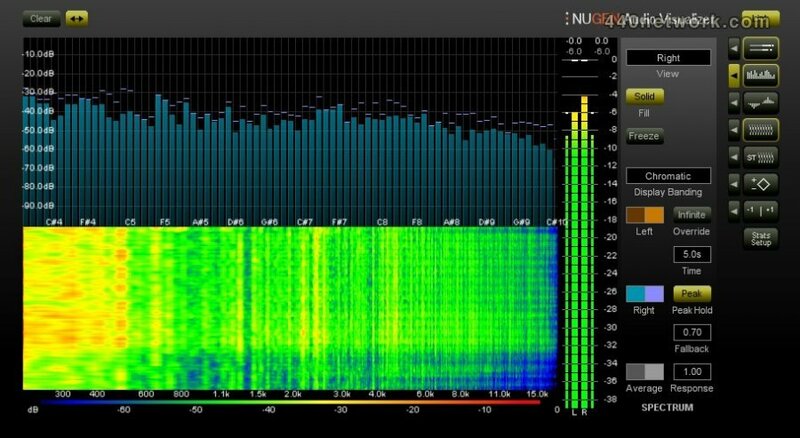 If you work with audio, you need great analysis tools. Visualizer gives you all the tools you need to understand, compare and investigate your audio, allowing you to produce professional results more easily and intuitively that has previously been possible. Flexible and logical control grouping has made it possible to allow intricate custom setups involving over a hundred individual parameters, whilst maintaining maximum display space and a clear operational eye path. Visualizer now supports the Avid® AAX 64-bit format for both PC and Mac®, as well as the VST3 standard for digital audio plug-ins. This new version introduces the ability to set independent ballistics, peak and colour settings for the primary and secondary level meters. An intermittent problem affecting the accuracy of time averaging view Snapshot data has also been fixed.
. 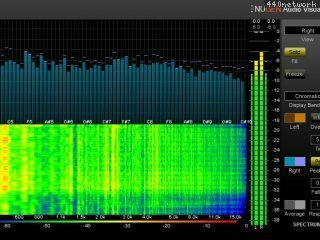 Spectrum analysis peak envelope improved in banded modes.
. Level meter clip warning now respects 'number to clip' parameter.
. Level meter margin now respects 'peak hold time' parameter.
. -20dBFS Pink Noise fixed.
. Audio Unit sample rate change in existing projects issue fixed.